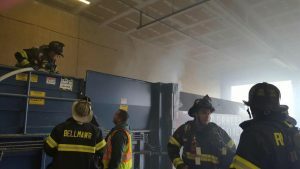 Quint 75 just cleared from this trash compactor fire at the Goodwill Industries on Benigno Blvd in Bellmawr. 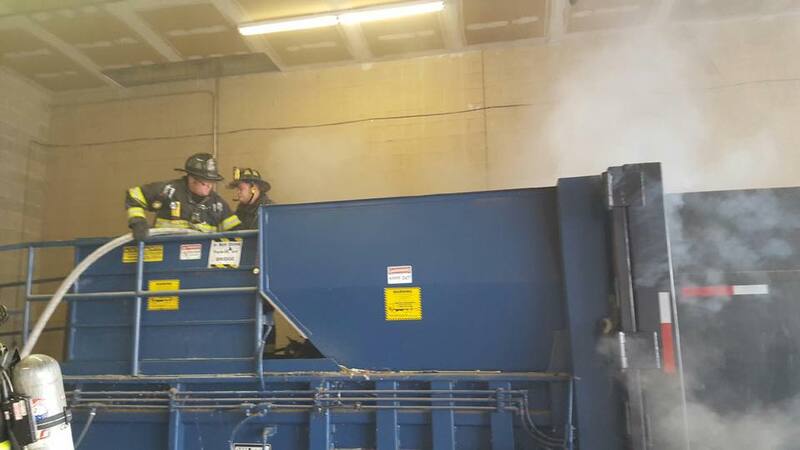 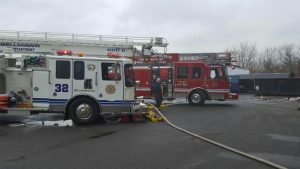 Squirt 32 and Quint 75 operated a 1 3/4″ hand line to darken down the fire while we awaited the arrival of the dumpster company for removal. 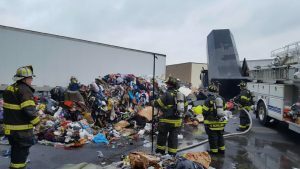 The contents were dumped onto the ground and the crews continued to extinguish any hot spots found while sorting the pile.